PlayStation VR gamers searching for and online multiplayer adrenaline rush of a game, which is payable both on virtual reality hardware and the PlayStation Pro console. May be interested to know that the highly anticipated Sprint Vector virtual assault course, race game will be available later today. Offering 21 colourful “space punk” assault courses tracks over which players need to use their best parkour skills to come first. Watch the launch trailer below to learn more about the Sprint Vector game which requires eight players to race against each other using the games unique fluid locomotion system. 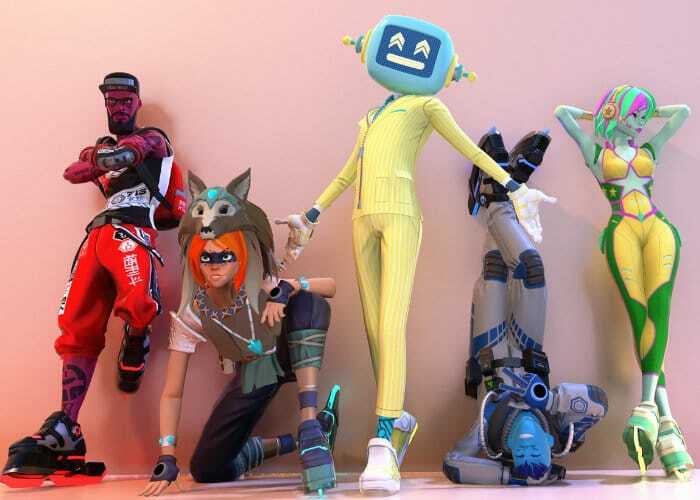 Created by its developers to provide a smooth natural movement system that takes up 99 percent of Sprint vectors gameplay says James Iliff CCO and Co-founder at developers Survios, responsible for creating the new Sprint Vector game. For more information on the new Sprint Vector game jump over to the official PlayStation blog for more details directly from its creator James.